It’s been three-and-a-half years since the producers of This American Life’s Serial introduced the world to Adnan Syed, the man convicted—rightly, or not—of the murder of his high school girlfriend, Hae Min Lee, in Baltimore in 2000. In the process, Serial won a Peabody Award, scored more than 68 million downloads, and inspired any number of true-crime imitators, helping to kick off a whole sub-genre of podcast phenomenons. 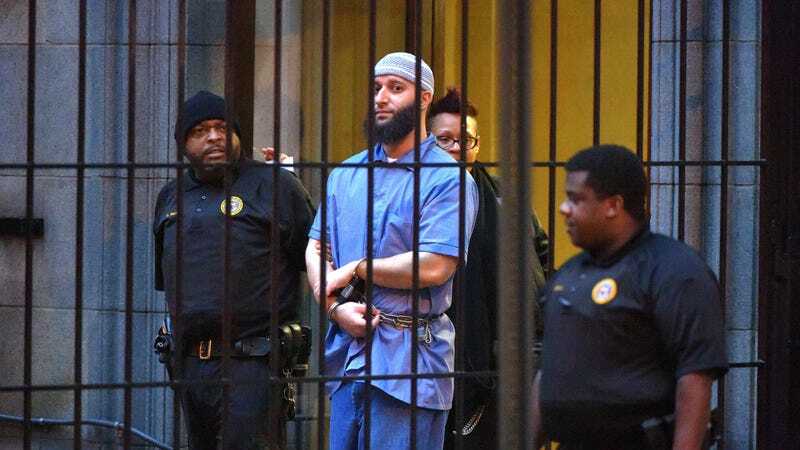 Now, HBO is going back to the Adnan well, with The New York Times reporting that the cable channel has started development on a four-part documentary, The Case Against Adnan Syed. Amy Berg—whose other documentary projects include 2006's Deliver Us From Evil, about sexual abuse in the Catholic Church—will direct, while Nick Cave will provide original music. The interest generated by Serial has been a legal boon for Syed; in 2016, he was granted permission for a new trial in Lee’s murder, at least in part because of points highlighted in Serial about his attorney’s failures during his original case. Although the retrial has yet to happen yet, the decision to grant it was upheld in a Maryland appeals court in March of this year.